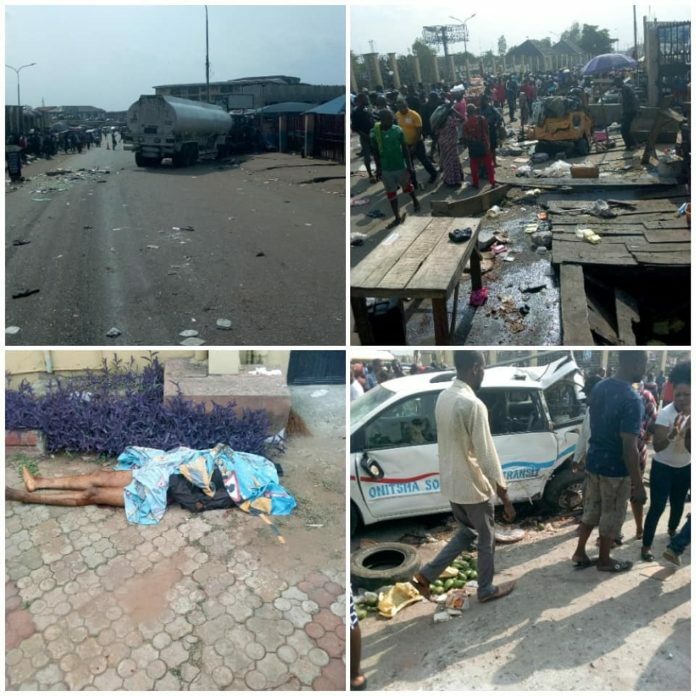 Black Wednesday in Onitsha as Tanker carrying kerosene crushed dozens to death. The tanker failed brake killing people from Toronto hospital to NITEL junction at upper Iweka. The departed have been deposited at the above mentioned hospital morgue. The doctors on duty are battling to save the lives of the numerous ones severely injured. Yesterday’s accident is similar to what happened exactly four years ago, at the same spot. In a sane country, tankers and lorries only ply the roads at night. This is sad!